Mondial, while now largely unknown, is probably the IAL that most resembles Interlingua. None of Heimer's books can be seen online, but luckily a blog written in 2009 has quite a bit of content that allows us to make a comparison. The comparison will focus on learnability. Anything not mentioned here is due to the languages using the same, or almost exactly the same methodology. The languages are almost 100% mutually intelligible. Verbs - Mondial verbs all end in -ar, in Interlingua they have three endings (-ar, -er, -ir). Unlike Occidental, having three endings makes a difference for the student in conjugating verbs (facer becomes ha facite, not facete). Mondial is easier here. First person plural imperative: in Interlingua it's que nos (lit. that we) plus the verb, in Mondial one puts -mo on the end. Que nos parla! in Interlingua is Parlamo! in Mondial. Neither language has an edge here. More verb conjugation is pretty much the same: Interlingua -va for past tense is -vi in Mondial, -ia and -a are the same in both (edit: should have written -ea for Interlingua). Mondial has one irregular verb (the verb to be), while Interlingua has three. Irregular in this case though means little, as the extra burden on the student is minimal and no student of Interlingua will fail to learn the language due to es, ha and da. Mondial has an impersonal pronoun lo, which is used in sentences like lo pluvia (it's raining). Mondial has no double letters in its words, meaning that the -mente adverbial ending will simply become -ente with an adjective like intim (intimate), which becomes intimente (intimately). Irregular comparatives: both use some optional irregular forms for words like larger, worse, etc. (major, pejor...) though simply using plu (Interlingua plus) is not incorrect either. Irregular accent: Interlingua has words with irregular accents, but as with English this is not indicated. Mondial uses a standard accent (á, ú, etc.) to show when it is irregular in words like citá. Orthography: Mondial uses the same tricks Italian does to retain a more regular orthography. Ge, gi are pronounced like English jay, gee, while one writes gue and gui for a hard g (gay, gee as in geese). Ce and ci are also pronounced like tsay and tsee, so for a hard k sound one writes que and qui (pronounced kay and kee, not kway and kwee). Conclusion: Mondial is more or less the language I had hoped Interlingua would be when I first took a look at it in 2005. Unfortunately it is now more or less unknown, and doesn't have the (very impressive) large dictionaries that Interlingua has. 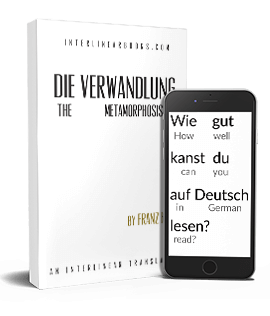 Fortunately it is a naturalistic language, which makes derivation quite intuitive and most of the time Mondial and Interlingua share the same vocabulary, so modifying an Interlingua dictionary shouldn't be that hard a task.